Dr Huwei Fan is an associate professor and Director of India and South Asia Studies of Foreign Military Research Department, National Defense University, PLA, Beijing, China. He holds a DPhil in Military Science on Command & Control Studies, a MPhil in Defense Strategic Studies, and a MPhil in Logistics Command. His research and teaching in NDU focus on Amphibious Warfare, Special Operations, US Operational Art, and Indian Defense Studies. Commissioned from the Armoured Forces Engineering Academy in 1996 with a B.S. in Armoured Vehicles Electronic Control Engineering, Colonel Huwei Fan’s career began as a platoon leader in 39th Group Army. After 2 years he was selected to be a staff officer in division headquarter, and then in Group Army headquarter. He finished his MPhil in Logistics Command Academy in 2003 and Phd in NDU, PLA in 2007. He then carried out a postdoctoral research on Combat Effectiveness Studies on armed forces in Information age in Department of Joint Operations, NDU, PLA. He took the National Security and War Course (NSWC)2014-15 in NDU, Islamabad, Pakistan, the 36th Defense and Strategic Studies Course (DSSC) 2015-16 in International College of Defense Studies (ICDS), NDU, PLA. Dr. Huwei Fan is the director of India and South Asia Studies of Foreign Military Research Department, NDU, PLA, Beijing, China. Dr. Huwei Fan translated 11 books, doctrines and reports on US and other western militaries. Among these, Sea Basing Series on US Navy, Joint Operation Planning Procedure are very popular in defense communities. His publications appear in journals such as NDU Journal, Foreign Military Studies, and Joint Operations Journal, etc. He also provides academic consultative services for services, headquarters and other academic study centres. Colonel Guilong Yan is an associate professor and Director of Foreign Military Studies Center at the PLA Strategic Support Force Information Engineering University, Luoyang. He holds a DPhil in Foreign Languages and Literature from the PLA Foreign Languages University. His research interests include US foreign policy decision making, interagency coordination, and military net assessment. His publications appear in journals such as China Military Science, Military Art, and World Military Review, etc. His commentaries also appear in the PLA Daily. His monograph The Coordinative Mechanism between the U.S. Departments of State and Defense in the Foreign Policy Process is to be published by the Chinese Social Sciences Press. He is currently a Chevening Fellow at the CCW Center, doing a project on the impact of Artificial Intelligence on Hybrid Warfare. Chris Bellamy is Professor Emeritus of Maritime Security at the University of Greenwich. A specialist in Russian military affairs, he won the Westminster medal for military literature 2008 for Absolute War: Soviet Russia in the Second World War (Pan Macmillan 2007) which has been translated into several languages. He was Director of the Greenwich Maritime Institute from 2010 to 2014 and previously headed the Security Studies Institute, Cranfield University at the Defence Academy of the UK. From 1990 to 1997 he was Defence Correspondent of the Independent newspaper. Air Vice Marshal Arjun Subramaniam (Retd) is a fighter pilot-scholar-author who recently retired from the Indian Air Force after 36 years in uniform. He is an experienced fighter pilot and pilot instructor who has flown MiG-21s and Mirage-2000s. Among his notable command and staff assignments have been command of a Mig-21 squadron, Chief Operations Officer of a SU-30 base, command of large flying base and a stint as an Assistant Chief of Air Staff looking after Space, Concepts and Doctrine. He has been at the forefront of Professional Military Education in India’s armed forces and served as a faculty member at the Defence Services Staff College (DSSC) and National Defence College (NDC). He has also served as part of the Indian Military Advisory Team in Zambia. A P.h.D in Defence and Strategic Studies from the University of Madras, India, he is a prolific writer, strategic commentator, and military historian and writes in the public domain for reputed journals, magazines and newspapers. He is the author of three books including the well-received ‘India’s Wars: A Military History 1947-1971’ that has been published in India by Harper Collins and has been recently published in the US by the US Naval Institute Press. His other books are titled ‘Reflections of an Air Warrior’ and ‘Wider Horizons: Perspectives on National Security, Air Power & Leadership. He is currently a Visiting Fellow at the Harvard Asia Center to research and write the sequel to his book on war and conflict in contemporary India (1972-2015). He is also a Non-Resident Senior Fellow at the Mitchell Institute for Aerospace Power Studies in Washington D.C, and a contributing editor at The Print, an online news and opinion platform. On his current sabbatical, he has lectured at Harvard, MIT, Georgetown, Emory, Georgia Tech, Air War College, NDU and the Carnegie Endowment and is slated to speak extensively on his work at war colleges and universities across the US prior to joining the CCW in January 2018 for the Hilary and Trinity Term. Dr Robert Jackson is the Fletcher Jones Professor of Government and International Relations at the University of Redlands in California and a Senior Associate/Visiting Fellow, University of Oxford Programme on the Character of War, Pembroke College, Oxford, UK. He returns to the Changing Character of War Centre at the University of Oxford each Trinity Term. He also holds the positions of Distinguished Research Professor of Political Science at Carleton University in Ottawa, Canada and Life Member/Visiting Fellow, Clare Hall, University of Cambridge, United Kingdom. He serves as associate Fellow in International Security at Chatham House (Royal Institute of International Affairs) London and is a Director of the Atlantic Council of Canada. After receiving his doctorate from Pembroke College, University of Oxford, he taught courses in Canadian, Comparative, European, and International Relations at Carleton and McGill Universities for over 35 years. He chaired the department of political science at Carleton, managed the House of Commons Parliamentary Internship institution, and was Executive Secretary of the committee on Atlantic Studies for a decade. He continues to teach international relations and advanced seminars on “International Relations, Security and Crises” at Redlands, Carleton, and other Universities around the world. How the Military Innovate Within the Changing Character of War. Wg Cdr Ruth Harris is a Logistics Officer in the Royal Air Force and has most recently served as Officer Commanding ground operations at RAF Brize Norton, leading large-scale change across logistics application in air mobility operations. Originally an aid worker in central Africa, Ruth commissioned into the RAF in 1997. She holds an MSc in Conflict Studies and Development, MSc in Logistics Management, MA in Defence Studies and MSc in Veterinary Physiotherapy. She has completed dissertations on wide ranging subjects; Child Soldiers in the DROC; Small Budget, Big Impact Logistics; Victim Blame – The Channel Islanders after WWII; and The Impact of Exercise Surfaces on the Equine Musculoskeletal Frame. Ruth has considerable and varied operational experience, establishing the RAF Rotary Wing Logistics Base in Kosovo, in Northern Turkey supporting the No Fly Zone over Iraq, deployments into Iraq including the British Embassy in Baghdad and as part of the team coordinating the UK drawdown in Basra. She has deployed in support of humanitarian operations in the DROC, Chad and Sierra Leone, and in Pakistan and Indonesia following natural disasters. She was the Royal Air Force Liaison Officer for the Western USA from 2001-4, a period of considerable change in the political and military focus. She has spent a considerable time in Afghanistan and travelled extensively across the country during recent NATO operations as an advisor. She has completed tours in the NATO Supreme Headquarters Allied Powers Europe, during a period that saw Russian activity in Ukraine and she was Directing Staff on the UK Advanced Command and Staff Course, working alongside King College London to re-write and deliver modules on Strategy and Policy, International Security and the Realities of Conflict. Dr Martijn Kitzen is assistant professor of war studies at the Netherlands Defence Academy. His research and teaching focus on irregular warfare and more specifically on counterinsurgency in highly fragmented societies. During his time at the Changing Character of War Programme he will work on a book that seeks to analyse the dynamics of interaction between Western interveners and local power-holders. 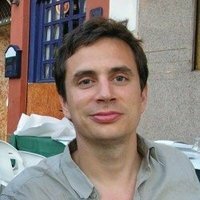 Martijn has published extensively about Dutch counterinsurgency experiences, and is currently also preparing an English book about the Netherlands’ campaign in Afghanistan’s Uruzgan province. In addition to his scholarly work, he has been involved in pre-deployment training for various nations, worked as in-theatre advisor for the Netherlands’ Task Force Uruzgan, and served as academic advisor for the revision of NATO’s AJP 3.4.4 (counterinsurgency). Martijn holds a PhD in history and a MA in political science and is a former military officer with experience in NATO and UN missions. 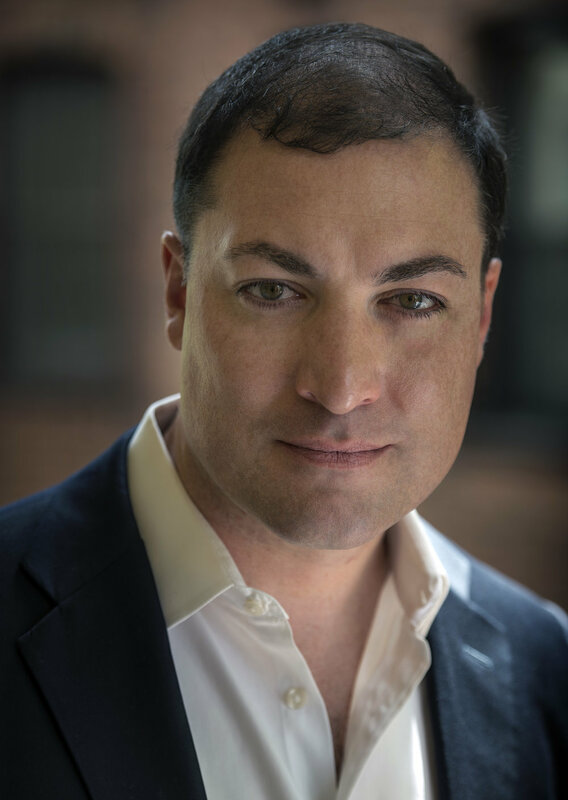 Dr. Sean McFate is an author, novelist and expert in foreign policy and national security strategy. Currently, he is a Senior Fellow at the Atlantic Council, a think tank. He is also a professor of strategy at Georgetown University’s School of Foreign Service and the National Defense University in Washington DC. McFate’s career began as a paratrooper and officer in the U.S. Army’s storied 82nd Airborne Division. He served under Stanley McChrystal and David Petraeus, and graduated elite training programs, such as the U.S. Army’s jungle warfare school in Panama. After this, McFate became a private military contractor in Africa. Among his many experiences there, he dealt with warlords, raised small armies, worked with armed groups in the Sahara, transacted arms deals in Eastern Europe, and helped prevent an impending genocide in the Great Lakes region. In the world of international business, McFate was a Vice President at TD International, a boutique political risk consulting firm with offices in Washington, Houston, Singapore and Zurich. Before this, he was a manager at DynCorp International, a consultant at BearingPoint (now Deloitte Consulting) and an associate at Booz Allen Hamilton. He was also a social scientist for the RAND Corporation. A coveted speaker, he has spoken at the British House of Commons, top universities and popular audience venues. He has appeared in the New York Times, Wall Street Journal, Washington Post, MSNBC, Fox News, NPR, BBC, Economist, Vice/HBO, The Discovery Channel, American Heroes Channel and other outlets. He has published articles in Foreign Policy, The Atlantic, Politico, The New Republic, Daily Beast, Vice, Salon, War on the Rocks, Military Review and African Affairs. As a scholar, he has authored eight book chapters in edited academic volumes, and published a U.S. Army War College monograph on how to raise foreign armies. McFate holds a BA from Brown University, a MPP from the Harvard Kennedy School of Government, and a PhD in international relations from the London School of Economics and Political Science (LSE). He lives in Washington, DC. Dr Jeffrey H. Michaels is a Senior Lecturer with the Defence Studies Department, King's College London. He has also worked as a Visiting Research Fellow at the Egmont Institute in Brussels and as a Research Associate in the Department of War Studies at King's. Earlier experience included working for the US Defense Department and NATO. His current research is focused on preparation of a fourth edition of Sir Lawrence Freedman's 'The Evolution of Nuclear Strategy'. He is also working on a separate Cold War history project examining the politicization of NATO/Warsaw Pact military balance assessments. Originally from San Diego, California, Justin is a career naval officer who most recently served as Commanding Officer of the Guided Missile Destroyer USS BENFOLD (DDG 65), forward deployed to Yokosuka, Japan. Commissioned from the United States Merchant Marine Academy in 1998 with a B.S. in Marine Transportation and Logistics and an unlimited 3rd Mate’s License in the American Merchant Marine, Justin also holds a Master’s of Science degree in Systems Engineering from the Naval Postgraduate School in Monterey, California, and undergraduate credentials in National Security Affairs from the Naval War College in Newport, Rhode Island. His sea duty assignments include tours in Communications, Engineering, Operations, and Human Resources aboard three Destroyers, a Cruiser, and three Aircraft Carriers, making numerous deployments throughout the Pacific, Indian Ocean, and Arabian Gulf in support of United Nations sanctions enforcement, stability operations, anti-piracy operations, and humanitarian assistance - disaster response. Ashore, Justin served as an Executive Assistant to the Superintendent of the Naval Postgraduate School, as an Associate Fellow with the Chief of Naval Operations Strategic Studies Group, and as a Legislative Liaison to the U.S. Congress. With more than 20 years of operational foreign policy experience in the Western Pacific and Middle East, Justin hopes to gain a much deeper appreciation of European affairs while in residence at Oxford. Some of Justin’s personal interests including flying, high-power rocketry, and cooking. He is also an avid home brewer and enjoys experimenting with new types of beer. Neil Ferguson is Professor of Political Psychology at Liverpool Hope University and a Visiting Research Fellow to the Changing Character of War Programme at Pembroke College, Oxford. His research has focused on political conflict and its psychological implications since he studied towards his PhD at the University of Ulster (1998). His current research focuses on processes of engagement, involvement in and disengagement from politically motivated violence focusing on paramilitary groups based in Northern Ireland. He has published in both psychology and politics journals, edited and contributed to a number of edited volumes and offered critical advice to various governments, security agencies and NGOs on issues around radicalization, terrorism and counter-terrorism. Tormod Heier is Lieutenant Colonel in the Norwegian Army and holds a PhD in Political Science from the University of Oslo. He is a Senior Faculty Advisor at the Norwegian Command and Staff College at the Defence University in Oslo. He is currently a Visiting Fellow at the Changing Character of War Programme at Pembroke College, where he is conducting a case study on NATO’s Northern Group, looking at the conditions under which, how, and to what purpose regional clusters emerge, and what operational benefits and risks they bring. In 2016, along with Professor Janne Haaland Matlary, he published Ukraine and Beyond: Russia's Strategic Security Challenge to Europe (Palgrave Macmillan). The volume, described as “the first full-spectrum analysis of Russian and European norms of political action, ranging from international law, ethics, and strategy, to the specific norms for the use of force”, brings together leading scholars from these various fields, examining the differences in norm understanding between Russia and Europe. Kazuhiro Obayashi is an Associate Professor in the Graduate School of Law at Hitotsubashi University in Tokyo. He was previously a visiting researcher at the International Peace Research Institute, Oslo (PRIO) in 2007 and 2012, and a consultant for the World Bank in 2006-2007. He is the author of Rebel Recruitment and Information Problems(Routledge, 2018), which explores the conditions under which rebel groups tend to rely more on coercion and inducement for recruitment. At CCW, he is conducting research on the state’s counterinsurgency techniques that are intended to exploit agency problems in a rebel group as well as other projects on civil war and peacebuilding. Simon will continue to use his time at the Changing Character of War Programme to work on his book ‘The Changing of the Guard,’ an examination of the recent evolution of the British Army to be published by Penguin Random House imprint William Heinemann. Born in Cambridge, Simon held a Gap Year Commission in the British Army before reading English Literature at Oxford. He later won a Fulbright scholarship to study at Columbia Journalism School in New York. After graduation Simon worked at The New York Times and subsequently spent several years in West Africa as a correspondent for Reuters and the Economist, before working for Newsweek back in the UK. His writing and journalism have appeared in numerous other publications including the Guardian, the Washington Post, the Economist, the Financial Times and the Independent. His website is simonakam.com and he tweets @simonakam. Dr Charly Salonius-Pasternak is a Senior Research Fellow at the Finnish Institute of International Affairs (FIIA), where he has been since 2006. There he follows both US foreign and security policy, as well as Nordic security and defence issues. In 2009-2010 he served as an international affairs adviser to the senior leadership of the Finnish Defence Forces, while conducting studies at Defence Command’s J5 department. During his Hilary-term visit to CCW, he will focus on how increasing hybridity and the information age impact military/security cooperation, especially between Finland, Sweden, the United States and the United Kingdom. Considering the increased importance assigned to and interest in information operations and strategic communications, and the impact the information age has on them, Charly will concurrently look at the possibility of multinational cooperation in these specific spheres. Dr Katarzyna Zysk is an Associate Professor at the Norwegian Defence University College – the Norwegian Institute for Defence Studies in Oslo, a position she has held since 2007. In the academic year 2016–17, she was a Visiting Scholar at the Center for International Security and Cooperation (CISAC) at Stanford University, and currently she is a Visiting Research Fellow at the Changing Character of War Programme at the University of Oxford. She is also a member of the Hoover Institution’s Arctic Security Initiative at Stanford University and was a Research Fellow (resident and non-resident) at the US Naval War College – Center for Naval Warfare Studies, where she also cooperated closely with the War Gaming Department. In 2016, she served as an Acting Dean of the Norwegian Defence University College. Dr Zysk has an academic background in international relations and international history. Following her PhD thesis on NATO enlargement (2006), her research and publications have focused on various aspects of security and strategic studies, in particular Russia’s security and defence policies, including military change and modernization of the Russian armed forces, strategic culture, political philosophy, geopolitics in the Arctic, as well as Russia's sea power and maritime security. Currently, she is writing a book about Russia’s military strategy and used her time at CCW in 2017 to further that research. Dr Alaric Searle is Professor of Modern European History at the University of Salford, UK; he is also currently Distinguished Visiting Professor, Faculty of History, Nankai University, PRC. His expertise lies in the fields of German history, European military and international history and the theory of war. Among many journal articles, book chapters and other publications, he is the author of Wehrmacht Generals, West German Society, and the Debate on Rearmament, 1949-1959 (2003); his forthcoming book Armoured Warfare: A Military, Political and Global History will be published by Continuum in February 2017. During his time as CCW Visiting Fellow, he will be working on a project which aims to reconsider the ‘principles of war’ within a global framework, in particular analysing the differences between Chinese and Western approaches to military theory. Dr Pontus Rudberg is a historian and museum curator from Stockholm. He received his PhD in history from Uppsala University in Sweden, where he has also taught. His doctoral dissertation, which is being published as a book in 2017, deals with the policies and actions of the Jewish minority in Sweden in relation to the Nazi persecution and the Holocaust. He has also published several articles and book chapters on refugee aid, relief and rescue efforts during the Holocaust. In his current research project, Rudberg studies Sweden’s responses to the US security policy and intelligence work in the Baltic region in the immediate post-war years. Douglas E. Delaney, CD, PhD, FRHistS, is a Professor of History and Canada Research Chair in War Studies at the Royal Military College of Canada. Group Captain John Alexander (RAF) is spending one term as a Trenchard Fellow at CCW. His research paper is entitled ‘A Return to the “British Way in Warfare”: the Diffusion of Power in the International System and the Implications for British Defence Strategy after Afghanistan’. The intent is to highlight the importance of air power given the return of geopolitics and geography to the international system. The paper will therefore be a counter to the Army ‘war amongst the people’, liberal nation building, and population-centric counter-insurgency narrative. Lieutenant General Sir David Capewell is a British Royal Marines officer currently serving as Chief of Joint Operations. He has just joined the Programme as a Royal Navy Hudson Fellow. Rear Admiral (rtd) James Goldrick AO, CSC, RANR was a senior officer in the Royal Australian Navy until he retired from full-time service in 2012. He commanded HMA Ships Cessnock and Sydney (twice), the multinational maritime interception force in the Persian Gulf and the Australian Defence Force Academy. He led Australia’s Border Protection Command and later commanded the Australian Defence College. He is a Fellow at the Lowy Institute for International Policy. A Visiting Fellow of the Sea Power Centre-Australia, an Adjunct Professor of the University of NSW at ADFA and a Professorial Fellow of ANCORS, his research interests include naval and maritime strategic issues in the Indo-Pacific, as well as the response of navies to changing technologies and operational challenges. Major-General James Hockenhull is spending two terms with the programme as an Army Defence Fellow. Professor John Kelsay is Chair of the Department of Religion at Florida State University. His research is focussed on religious ethics, particularly in relation to the Islamic and Christian traditions. His current work deals with religion and politics and religion and war. Professor Kelsay plans to spend Hilary Term with CCW while he is on Sabbatical from his home institution. Lieutenant General (Rtd) Sir John Kiszely KCB MC DL was commissioned into the Scots Guards and served in Great Britain, Northern Ireland, Germany, Cyprus, the Falkland Islands, Bosnia and Iraq. Appointments included command of 1st Armoured Division, Assistant Chief of the Defence Staff, Deputy Commander of Coalition Forces in Iraq, and Director General of the Defence Academy. Since retirement from the Army in 2008, he has served as Deputy Chairman of the Board of Trustees of the Imperial War Museum, National President of the Royal British Legion, and Visiting Professor in War Studies at King`s College London. He is currently conducting research for a book on the British campaign in Norway in 1940. Professor Keith Krause is Professor at the Graduate Institute of International and Development Studies in Geneva, Switzerland, Director of its Centre on Conflict, Development and Peacebuilding (CCDP), and Programme Director of the Small Arms Survey, an internationally recognized research centre NGO he founded in 2001. Professor Krause’s research interests include concepts of security, the changing character of contemporary armed violence, and multilateral security cooperation. He has published Arms and the State (Cambridge) and edited or co-edited Critical Security Studies (Minnesota), and Culture and Security, and authored many journal articles and book chapters. During his sabbatical in Oxford, he is pursuing research on political violence and the state. Dr Hyeloung Lee will come to CCW from the Trial Division (Chamber) of the International Criminal Court in The Hague, Netherlands. Her research interests include international humanitarian law, international criminal law, the crime of aggression, and mixed types of conflicts involving unrecognized entities. She is coming to Oxford to expand on and prepare for publication her doctoral research on the applicability of the crime of aggression to armed conflicts involving quasistates. Lukas Milevski joins the Programme from Reading University where he completed his PhD under Colin Gray. He is writing a history of grand strategic thought in practice. It is hoped that the two hundred year overview of grand strategy he proposes will reveal the dynamic relationship between changing (grand) strategic ideas and the changing character of war. Group Captain Paul O’Neill is a serving Royal Air Force Officer. The end of combat operations in Afghanistan ushers in an era of ‘contingency’, in which the UK’s combat edge is increasingly dependent on the quality of its people, but the implications of this are not well understood. Having been responsible for Personnel Strategy and the Defence School of Personnel Administration, his research interest is in the area of human capability. Viewing the issue through an organizational lens, his work will consider how Defence needs to change to become more agile so that it is able to develop and use its human capability to meet the challenges of tomorrow. Professor Douglas Porch is Distinguished Professor and former Chair of the Department of National Security Affairs at the Naval Postgraduate School in Monterey, California. Professor Porch has served as Professor of Strategy at the Naval War College in Newport, Rhode Island, and has also lectured at the United States Marine Corps University at Quantico, Virginia, the U.S. Army War College in Carlisle, Pennsylvania, and the NATO Defense College in Rome, Italy. Professor Porch has published extensively. His most recent book, Counterinsurgency: The origins, Development and Myths of the New War of War, was published by Cambridge University Press in 2013. At present, he is researching a book on French combatants in World War II. Captain Joseph Robinson is British Army Defence Fellow. During his two terms in Oxford, he has been researching political philosophy in stabilisation strategy. Captain Thomas Ross is British Army Defence Fellow looking at the 2011 UK intervention in Libya. Captain Jon White is the RN Hudson Fellow. Captain White’s research is on maritime security in Sierra Leone. Commander Bobby Baker was the U.S. Navy Hudson Fellow for academic year 2013–14. He previously served as the Commanding Officer of Strike Fighter Squadron 192. His research focused on the European Union’s Naval Force Operation Atlanta that was launched to prevent and combat acts of piracy off the coast of Somalia. He investigated why and how this operation was created and its global impact on international maritime security cooperation. Lieutenant Ryan Coatalen-Hodgson, RN Hudson Fellow (Trinity Term, 2013) used his term in Oxford to prepare for his deployment to Russia. Major-General Christopher Elliott was formerly the Director General of Doctrine and Development, British Army and latterly Director of Doctrine and Strategic Analysis for General Dynamics UK Ltd. During his fellowship he wrote High Command (2014). He remains a Research Associate of the Programme. Squadron Leader Tim Fawdry-Jeffries was one of the Royal Air Force Fellows in 2013–14. His research focused on how the creation of a sufficiently compelling perception of victory can influence, and even take primacy over, the tangible outcomes of conflict. He used the 2nd Lebanon War and the Gaza War as exemplars to propose methods by which a successful narrative of victory can be constructed. Captain Neil Foot-Tapping is a British Army officer from the 9th/12th Royal Lancers. His research examined the ability of the UK to exert power following restructuring and transformation, looking particularly at the adaptive force and upstream capacity building. He moved on to the Defence Academy in Shrivenham in 2014 for the Intermediate Command and Staff Course. Major Mirjam Grandia Mantas is a serving officer in the Netherlands army. She has conducting a comparative analysis of why and how the United Kingdom and the Netherlands have deployed their military forces for the stabilisation of South Afghanistan at the University Leiden and spent a term with CCW as part of her research. Professor Agustin Guimera is a Spanish naval historian. He spent Hilary Term 2014 in Oxford while working on a book on Jervis/Mazarredo 1797–1799. Major Metin Gurcan, of the Turkish military and Turkish Staff College, came to Oxford in Hilary Term 2014 while working on a book on COIN efforts in TRMEs (Tribalized Rural Muslim Environments). He is the CCW-TAF link in our institutional relationship and will return to the Programme in 2015–16. Mitsuko Hayashi was Defence Counsellor (Head of the Defence Team) in the Embassy of Japan in London and now serves in the defence section of the Japanese Government. She spent one term in Oxford during her time in the London Embassy. Professor Men Hongua is KF Chair Professor and Deputy Director of the Centre for International Strategic Studies at the Central Party School, Beijing, China. He spent Michaelmas Term 2013 and Hilary Term 2014 with the Programme while on Sabbatical. Dr Zhong Jing was one of two Chevening Government-Exchange Research Fellows. She produced a paper on ‘Space Security and Strategic Stability’ during her two terms in Oxford. Group Captain Richard Mason (Michaelmas 2013 and Hilary Term 2014) is a serving Royal Air Force Officer who has just completed the Ministry of Defence’s Higher Command and Staff Course. His research into the impact of remote warfare on the moral component of Air Fighting Power used Remotely Piloted Air Systems as an exemplar. It focused on the implications of ‘killing from afar’ on the morale and ethos of the crews involved. Colonel Rob Rider is former Commander of the Military Assistance Group. He used his term with CCW to examine how the British Army could devise more effective, culturally-aware, and collaborative methods of intervention and interaction with indigenous security forces. Captain Sean Ryan works on open source intelligence issues. His paper looked at the influence of the internet on freely available information, and how traditional intelligence architectures can adapt to a changed calculation of information asymmetry. Captain James Sides (Michaelmas Term, 2013) is an officer of the Intelligence Corps who conducted research into the transformation of his corps during the conflicts in Iraq and Afghanistan, particularly the change of emphasis to human terrain analysis. Dr Deividas Slekys is a lecturer at the Lithuanian Military Academy. He spent two terms in Oxford as part of his research on military thought and its evolution in Lithuania since 1990 and will be returning to Oxford in 2015 to continue his collaborative research with the Programme. Air Commodore Andrew Turner spent Hilary Term 2014 in Oxford after returning from service in the White House and Pentagon in Washington DC and as preparation for his next appointment. He researched the relative weight Governments apply between vital national interests and core values when determining whether to commit force and subsequently in the formulation of military strategies. He went on to command 22 Group, responsible for future development in the RAF. Lt Col Alexandre Vautravers is Professor of International Relations, Webster University Geneva and Head of Military Intelligence (G2), 1st Armored Brigade, Swiss Armed Forces. He also edits the Swiss Military Review. He spent some of his sabbatical with the Programme in 2013–14. Dr Neil Verrall is a Principal Psychologist with the Defence Science and Technology Laboratory (Dstl). He is a senior member of DSTL’s Human Systems Group and his career has focused on the human dimension of military behaviour and performance. As an applied scientist Neil deployed to Iraq (2007) and Afghanistan (2008, 2009, 2011) in order to conduct human sciences research and lead Dstl’s operational analysis capability in deployed headquarters. Neil has also been awarded a NATO Excellence Award for his contribution to various research groups studying the cultural factors of multinational forces and coalitions. Neil’s research for the Changing Character of War programme focussed on Defence and cross-Government strategic communication and influence. Dr Paul Winter is a military historian and author. He came to Oxford while working on a book on Operation ‘Overlord’ to commemorate the 70th anniversary of the D-Day landings. Dr Li Xiaolu was one of two Chevening Government-Exchange Research Fellows. Her paper looked at Sino-US relations in the coming decade. Professor Xiao Xi is Professor of International Politics at Jilan University, Changchun City, P.R. China. She was awarded a China State Scholarship to spend two terms in Oxford. Captain Michael Whitehead, British Army.